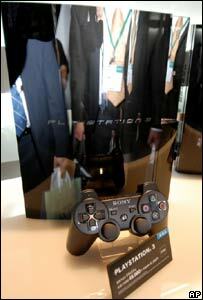 Japan's consumer electronics industry is dying, Sony's former chief says. Consumer electronics firms in Japan needed to merge and adapt to a world where the TV was becoming a portal to the internet, Nobuyuki Idei said. Mr Idei, who is still chief corporate adviser to the company, said Sony had suffered from high costs during a period of global competition. Meanwhile, other countries' firms had powered ahead - with Korean firms in particular winning new business. In a frank interview at the European Technology Round Table in Barcelona, Nobuyuki Idei explained what had gone wrong during his 10-year tenure at the helm of Sony. Mr Idei ran Sony from 1995 to 2005 - a period when the Japanese giant's fortunes suffered, with its finances faltering and rival products such Microsoft's Xbox and Apple's iPod eating into its reputation for world-beating innovation. Asked to explain why Sony had been caught out by the iPod's success, he said that Apple chief Steve Jobs liked Sony and had studied its record carefully. "He'd have probably liked to be Sony's CEO," he said. The success of Microsoft's Xbox 360 games console in beating Sony's Playstation 3 to market was because "Microsoft is not a technology company", he said. Sony, he explained, had gone down the route of developing a new processor with IBM for the PS3 and that had caused delays. Mr Idei also cast doubt on whether it had ever been a good idea for Sony to get involved in Hollywood through its acquisition of Columbia pictures in 1989. "The mistake was to buy the company," he said. 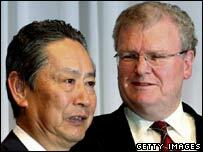 Last year Sony appointed Welsh-born Sir Howard Stringer, as the company's first non-Japanese chief executive. Asked whether that was the right decision, Mr Idei said: "I think so." But he went on to express his hope that the next chief executive would be a younger Japanese manager, someone he described as "a net citizen".